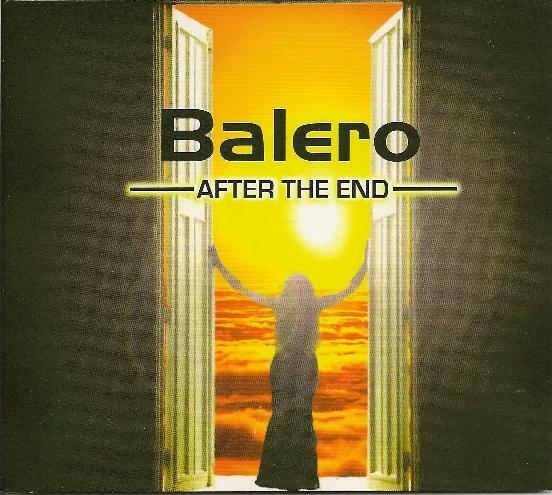 Balero - "After the End"
Formed in Pennsylvania in 2002, Balero's self-proclaimed mission is to play the music they love, i.e., hard-riffing stoner rock, for like-minded people. Currently a guitar-based trio, the band have not let their ongoing quest for a singer deter them from recording three EPs of all-instrumental music, beginning with the self-explanatory "Demo" (recorded in 2004, and now out of print), followed in 2006 by "One Planet Short Of The Sun". Their latest effort, "After the End", is a 29 minute self-released effort that marks the debut of new drummer Jay Comitz, joining the guitar and bass nucleus of Shawn Lopuhovsky and Jim Comitz. Of seven tracks on "After The End", six are very definitely of the type of mile-high riffing invented by Black Sabbath, and brought up to date by the likes of Nebula and Queens Of The Stone Age (the band themselves also cite Soundgarden, Kyuss, and early Metallica as key influences, as well as the bluesier sound of The Black Crowes). Only the final track, the rather contemplative "Let It Go", breaks the mould, with gentle acoustic picking overdubbed on a folksy ballad. Elsewhere, it is all enormous guitar riffs, thundering bass and powerhouse drumming, laying down a powerful bedrock that practically screams for vocals. That is not to say that Balero lack subtlty - tracks like "Sunshocked" and the slow-marching "Warpath" demonstrate they know when to hold back and when to let loose. The latter track also features some very tasty guitar playing on a disc that generally has a far greater focus on rhythm than solos. Back in 2006, Shawn Lopuhovsky stated that they had auditioned over 40 candidates for the vocal spot in Balero (their album title "One Planet Short Of The Sun" seems both fitting and poignant when placed in that context), but had not found what they were looking for. Inevitably the killer rock grooves they play attract the kind of death metal screamer that would only detract from their hard, yet soulful, groove ("We get the wannabe's of everyone who is out there today!"). Rather than compromise their vision, Balero choose to release the music they love using self-financed recordings, independent distributers and Youtube to spread the message and widen the search. With "After the End", the message comes across loud and clear that this is a band with a truckload of potential, who are determined to do things their way or not at all.